Skogen reveals cover artwork and tracklist for their upcoming 5th studio album “Skuggorna Kallar”. The album will be released onon May 25th through Nordvis. 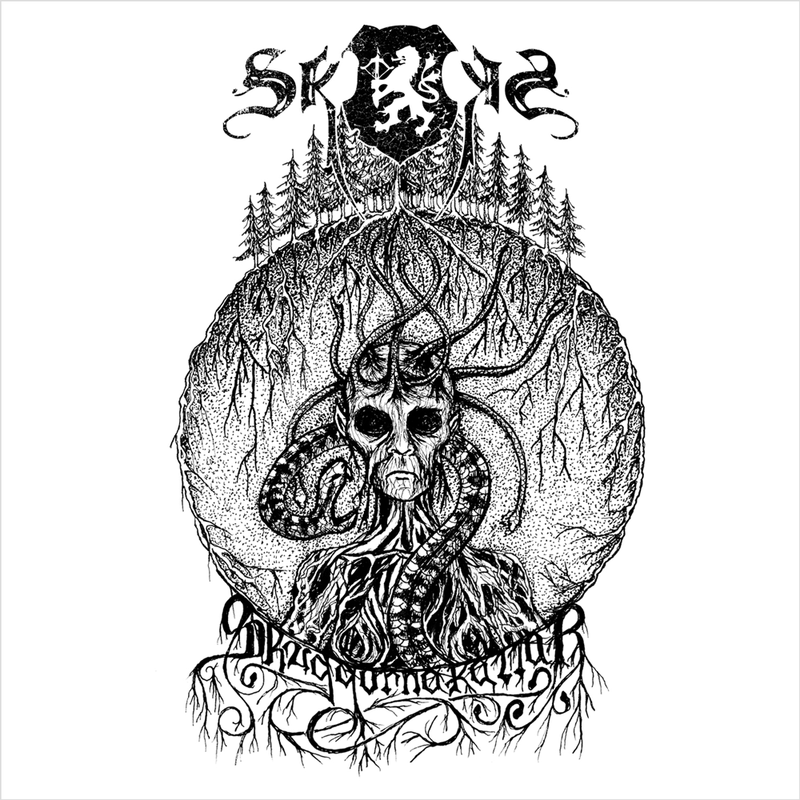 Without loosing the atmosphere that’s been Skogens trademark since the Vittra debut (2009), “Skuggorna Kallar” is likely the most diverse Skogen album up to this date. Our sonic journey starts at the onset of a Nordic eve, as the sun shines its last reluctant rays on the bleak landscape. Dark omens are foretold by our shrouded companion, or is it Loki, playing with our minds as the frostbite takes hold, numbing our brains and weakening our defences. Finally, the sun’s blood seeps through the seemingly impenetrable fog of pre-dawn grimness and we are arrived at our final destination, beneath the mighty ash -Yggdrasil. Only then do we realize that the gods have indeed played laid down our final card and the funeral rites begin. Valhalla awaits.